The Digestive Health Foundation generates critical resources to accelerate medical discoveries aimed at transforming digestive disease into digestive health for patients and families at Northwestern Medicine Digestive Health Center. Along with GI physician leaders, Drs. Pandolfino and Strong, Dr.
staff working together with every patient for a better tomorrow. 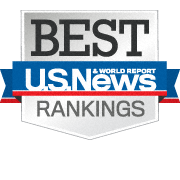 U.S. News and World Report recently rated Northwestern Memorial Hospital #1 in the Chicago area and #1 in the state. For gastroenterology (and nine other specialties) Northwestern is ranked among the top 20 in the nation. The Digestive Health Foundation at Northwestern Medicine funds research and education efforts of the Digestive Health Center. 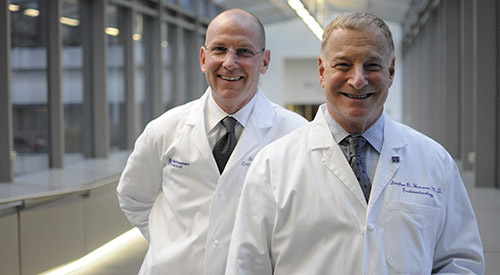 With the Foundation’s support, the Northwestern Medicine Digestive Health Center provides unmatched leadership of scientific discovery and individual patient care for current and future generations. The Digestive Health Center houses a comprehensive program that allows the best academic and clinical minds to define the next frontier of patient care. This new era offers cohesive and coordinated individual care for every person who walks through the doors of Northwestern Medicine. Universal access is combined with the ability to pivot in real time, reacting to diagnostic, prognostic, and treatment realities as quickly and seamlessly as possible, resulting in the best outcomes for each and every patient. The Foundation is advised by Dr. Stephen B. Hanauer, co-founder and medical director of the Center, immediate past President of the American College of Gastroenterology, and world-renowned physician for Inflammatory Bowel Disease; Dr. Scott Strong, Professor of Surgery and co-founder of the Center; and Dr. John Pandolfino, Chief of the Division of Medicine-Gastroenterology and Hepatology. Along with Drs. Strong and Pandolfino, Dr. Hanauer is expanding the reach of the Gastroenterology and Hepatology Division. Beyond the medical expertise of these physician-researchers, the Gastrointestinal and Gastrointestinal Surgery Divisions at Northwestern Medicine offer a diversity and depth of other specialties, including GI malignancies (colon cancer, pancreatic cancer, esophageal cancer), nutrition and food allergies, esophageal diseases (Achalasia and others), intestinal motility disorders, pelvic floor disorders, and weight loss and bariatric surgery. Northwestern Medicine also has the largest liver (hepatitis) and liver transplant program in the region. The availability of embedded cognitive behavioral and dietary programs completely integrates medical and surgical specialties in a humanistic and holistic manner. The Digestive Health Foundation will continue to expand the Digestive Health Center’s world-class patient care while growing an innovative public education program and conducting cutting-edge research to develop prevention, treatments, and cures, transforming digestive disease into digestive health.